Each meter includes 1 sachet of calibration solution which can be used multiple times. To add more sachets, use the drop down menu. The optimum pH for Kombucha is 3.5-2.8. When the pH of the sweet tea solution drops to 3.5 or lower, then you technically have Kombucha tea - this happens within the first 3 days of the fermentation process. The pH level is important for ensuring the health and protection of the Kombucha culture. At this pH, the growth of other microorganisms is inhibited. This item carries a 30 day warranty from the date of purchase - please calibrate it as soon as it arrives and test to make sure it is a working unit. Any repair issues after 30 days of purchase are not under warranty. 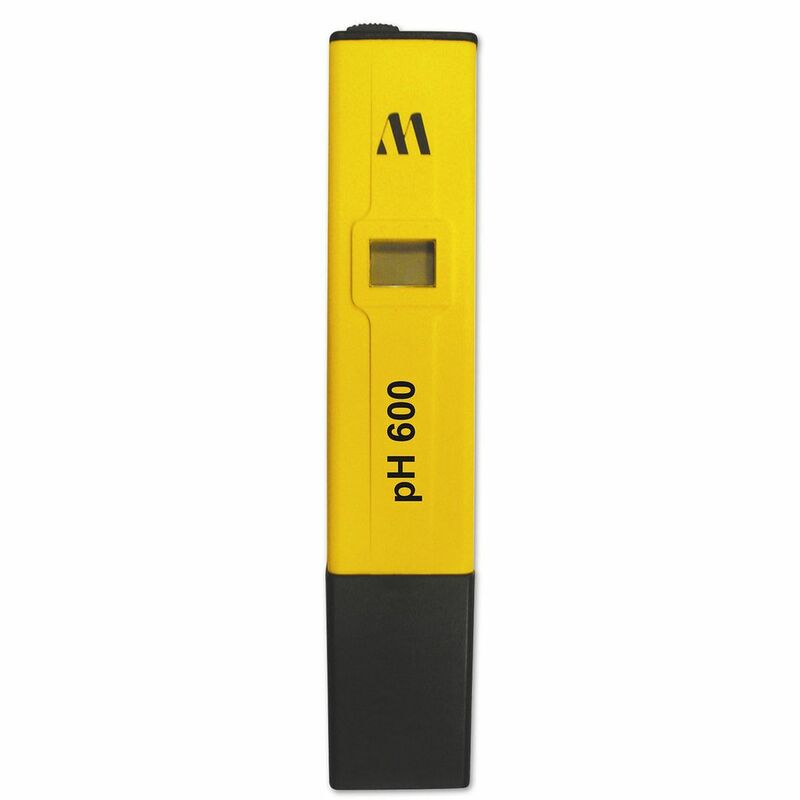 Returns: All pH meters come with a 60 day warranty from date of receipt. Items that have exceeded the warranty period will not be eligible for free replacement. I bought the pH meter more out of curiosity than concern. I liked the KT that I was brewing and I had done everything correctly so I wasn't worried about bad bacteria. But my nephews and niece were visiting and they were very curious about the whole pH thing and so I bought it so we could test stuff out! It is easy to use, relatively inexpensive and works. Great price. Much easier than reading test strips and I know when my Kombucha is ready and not just sweet tea. The ph is important for safety. This meter is so easy to use that I can check any time in the brewing process and insure the flavor is what I want and not to worry about unpleasant bacteria. 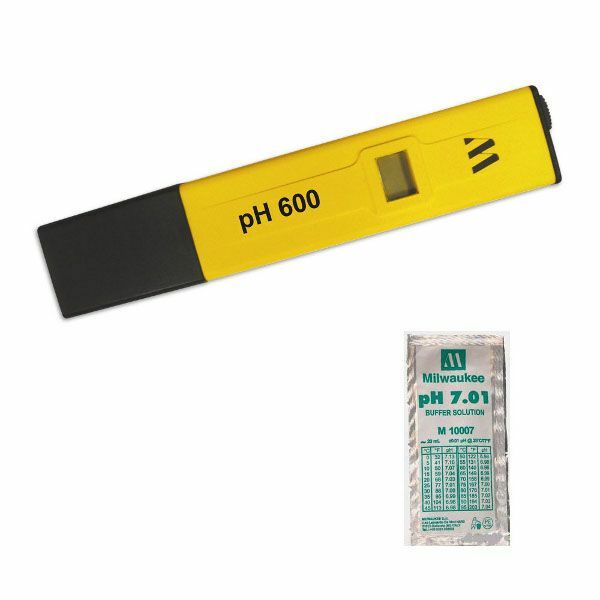 I am glad that I purchased the pH Meter. It is easy to use, and gives me confidence with the safety of my brewing. I used up all the pH strips that I originally got with my brewer, and I now can test freely whenever I want, without being afraid of running out. The calibration solution lasts for a long time, I keep it in an 8 oz canning jar, and calibrate fairly frequently. 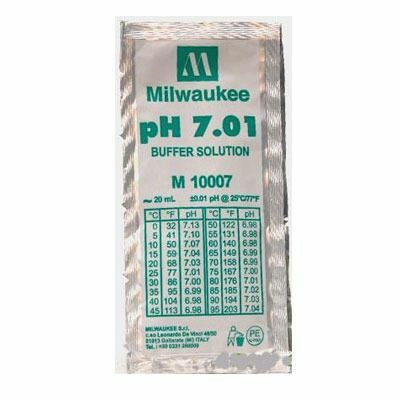 Having the meter instead of strips gives me a more exact pH reading (gives readings to the nearest tenth, instead of only nearest 5 tenths,) and its one less supply to have to keep in stock. This product is an inexpensive and more accurate alternative to the disposable strips. I have been making kombucha for a few months, however, I needed the pH meter for a chemistry experiment my children were conducting with the kombucha. It appears to be accurate, however, I have to calibrate it weekly despite keeping the tip immersed in water. Overall, I would recommend purchasing this product from Kombucha Kamp, as they include the calibration liquid and other companies do not. So easy! I'm so glad I got it from K-mama! I almost bought one at the brew store, and it was twice as much $! Thanks for all the instruction, too... makes it an easy process. I am so glad that I ordered this. I was having so much trouble matching the colors on the ph strips. With this meter it is so easy, just pour up a little booch, turn it on and dip. Instant reading. So much worth the price. I really like my PH meter. Testing is so easy. You should consider getting this item or test strips to check your kombucha. I love this because you just read the numbers and don't have to color match strips. Takes the worry out of the process, but after using it for a while I realize I was just worrying to much. If it were to die tomorrow I'd be happy and at peace enough without it. But the device is easy to use and if you worry, it will alleviate that. So glad to get my PH meter. No more worries. Perfect Kombucha. I'm one happy camper. It works great. Thanks for the email video on how to use it. I greatly appreciate all your helps. The PH meter is a godsend. I only wish I had gotten it when I ordered my brewing kit! It makes things so much simpler, and I don't have to worry about checking too much and using up all of the test strips. Being new at brewing, I probably test too often, but with a little more experience I will not need to. The meter is assurance and well worth the cost. By the way, it is easy to calibrate and use. I liked that it was easy to calibrate, well explained and pretty accurate. Love KK service! I have the heating system working well & tested the pH meter this morning. Both are working well & I am happy with them. This works way better then strips. Make sure it's calibrated correctly. I calibrated again after using for a month and it did need to be adjusted just slightly. As a new brewer, I feel really so much better having this great little gadget. Hannah gives so much back up support, that I feel I can't fail. Highly recommend! I love having this tool to know where my CB is in the process. It seems as the CB gets more 'aged' that my bottling time is a bit shorter than it was when it was new. I also LOVE that on every packing slip there is a handwritten note personally to me! THAT is a very nice touch. KK is a wonderful place to shop! Perfect- perfect price and easy to use. It is very satisfying to know the accurate pH level.